This is the second Libreboot laptop from Gluglug (a project of Minifree, Ltd.) to achieve RYF certification, the first being the Libreboot X60 in December 2013. The Libreboot X200 offers many improvements over the Libreboot X60, including a faster CPU, faster graphics, 64-bit GNU/Linux support (on all models), support for more RAM, higher screen resolution, and more. The Libreboot X200 can be purchased from Gluglug at http://shop.gluglug.org.uk/product/libreboot-x200. 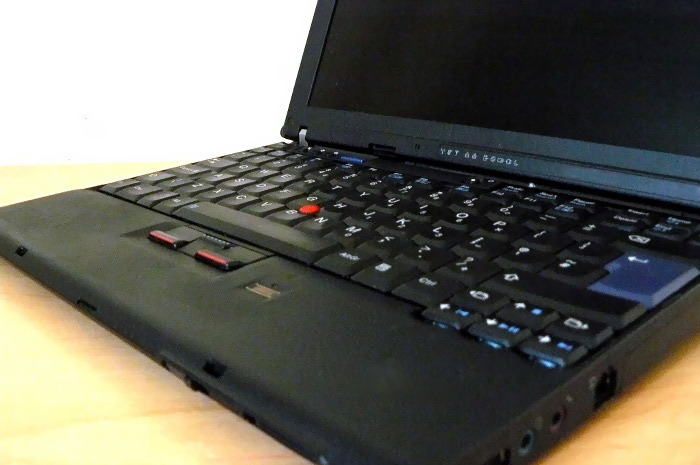 The Libreboot X200 is a refurbished and updated laptop based on the Lenovo ThinkPad X200. In order to produce a laptop that achieved the Free Software Foundation's certification guidelines, the developers at Gluglug had to replace the low-level firmware as well as the operating system. Microsoft Windows was replaced with the FSF-endorsed Trisquel GNU/Linux operating system, which includes the GNOME 3 desktop environment. The free software boot system of Libreboot and the GNU GRUB 2 bootloader were adapted to replace the stock proprietary firmware, which included a BIOS, Intel's Management Engine system, and Intel's Active Management Technology (AMT) firmware. The FSF has previously written about Intel's ME and AMT, calling attention to how this proprietary software introduces a fundamental security flaw -- a back door -- into a person's machine that allows a perpetrator to remotely access the computer over a network. It enables powering the computer on and off, configuring and upgrading the BIOS, wiping the hard drives, reinstalling the operating system, and more. While there is a BIOS option to ostensibly disable AMT, because the BIOS itself is proprietary, the user has no means to verify whether this is sufficient. The functionality provided by the ME/AMT could be a very useful security and recovery measure, but only if the user has control over the software and the ability to install modified versions of it. "The ME and its extension, AMT, are serious security issues on modern Intel hardware and one of the main obstacles preventing most Intel based systems from being liberated by users. On most systems, it is extremely difficult to remove, and nearly impossible to replace. Libreboot X200 is the first system where it has actually been removed, permanently," said Gluglug Founder and CEO, Leah Rowe. "This is a huge accomplishment, but unfortunately, it is not known if the work they have done to remove the ME and AMT from this device will be applicable to newer Intel-based laptops. It is incredibly frustrating to think that free software developers may have to invest even more time and energy into figuring out how to simply remove proprietary firmware without rendering the hardware nonfunctional. On top of that, the firmware in question poses a serious security threat to its users -- and the organizations who employ them. We call on Intel to work with us to enable removal of ME and AMT for users who don't want it on their machines," said FSF's executive director, John Sullivan. In order to remove the ME, AMT, and other proprietary firmware from the laptop, the Libreboot developers had to first reverse engineer Intel's firmware. They then created a small software utility to produce a free firmware image that conforms to Intel's specifications. Finally, to install their firmware on the device, they used special hardware (an SPI flasher) that they directly connected to a small chip on the motherboard itself. After many months of work, the Libreboot developers managed to completely overwrite the proprietary firmware with Libreboot and GNU GRUB 2. Those who purchase a Libreboot X200 from Gluglug will receive a laptop that has had all of this work already done to it and will be able to update or install new firmware to their device without needing to make use of any special hardware or complicated procedures. To learn more about the Respects Your Freedom hardware certification, including details on the certification of the Libreboot X200, visit http://www.fsf.org/ryf. Hardware sellers interested in applying for certification can consult http://www.fsf.org/resources/hw/endorsement/criteria. Leah Rowe is the Founder and CEO of Minifree Ltd in the UK, which owns and operates Gluglug, a project to promote adoption of free software globally. To purchase products sold by Gluglug, visit http://shop.gluglug.org.uk.